The following guidelines have been developed to further explain how the ACE Code of Conduct pertains to participation in a media event, providing a groundwork to set expectations for both the sponsoring park and ACE members. At no time do these guidelines supersede ACE regulations and/or requirements of membership. 1. A current valid ACE membership card must be presented at the assigned check-in point. If permitted by the host park, an email or fax confirming membership eligibility may be substituted. A membership card should be available for each member in your party as non-member guests will not be permitted excluding parents and/or guardians of ACE members under the age of 18. 2. All participants will be required to sign a photography release form at check in. Any member under the age of 18 should also have a parent or guardian available to sign the release during the check-in process. Parents and/or guardians are not required to be members of ACE to register or observe the event. 3. Members may not be admitted to the park after the scheduled check-in time since late entry may not be accommodated. If possible, late entry and/or exit procedures may be available at the discretion of our host park, but these should not be expected. You should plan to attend for the times scheduled. 4. There will be no compensation for participation, however refreshments and meals will be provided at the discretion of our hosts. * CLOTHING Since this is the park\’s time in the spotlight, ACE members have been requested to wear either an ACE logo shirt, bright solid-color clothing, a sponsoring park shirt (other operating rides at the park are acceptable), or casual clothing with no logo\’s or advertising trademarks. Please do not wear clothing advertising a different amusement park or ride not found at the host amusement park. 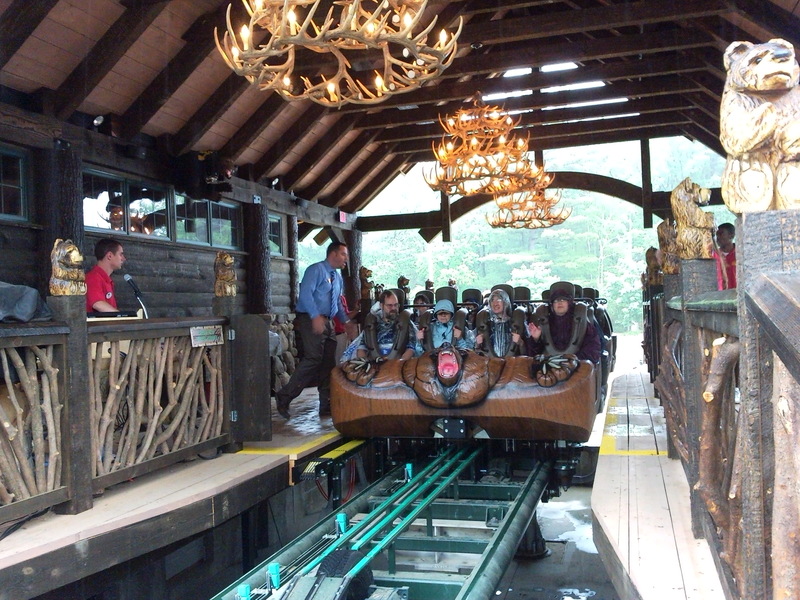 * COMMENTS If you are being interviewed please don\’t mention other park names and/or rides. We have been invited to help promote the host park and their attractions. This will be very tricky at times because the film crew may want you to compare the ride experience with other attractions you may have ridden in the past. Again, your best judgment should be used at all times remembering that you are a guest of the host park, and you should limit your comments to reflect positively on the host park. * ACT AND RIDE RESPONSIBLY. THIS IS NOT AN ACE ERT EVENT! There will be times when cameras need to be set up, special ride sessions coordinated, and other \”down-times\” during the filming at which time the ride will not be operating. You should not expect to be able to ride endlessly during the event, however you are welcome to ride whenever possible. Standard park policies will be enforced at all times. Please remember that the ride operators are there for your safety and enjoyment. Please help them by showing a positive attitude at all times. You are there as a member of the American Coaster Enthusiasts, and your individual actions will reflect upon the reputation of the organization. * CAMERA POLICY If this is an \”open\” media event, such as a media preview, members may be permitted to take photos during the event, however this must be pre-approved by ACE and/or a host park representative. If cameras are permitted all standard park camera regulations will be enforced concerning the use of on-ride filming. Normally amateur photographers are not permitted to have cameras for POV or on-ride footage, nor can they use the professional mounting equipment the park may have available for use. If the event is a privately sponsored closed event, in other words one where the costs are being paid by an external media production organization, there will be no cameras permitted except for those in use by the park and film crew. If this is a private filming event please leave all photographic equipment at home. * CONFIDENTIALITY Finally, the details of this event are strictly confidential for ACE and members of the film production only. Please do not post any information on the internet, tell your friends and neighbors, etc. about the details until the filming sessions have been completed. No general admission guests will be permitted, nor should they be given details unless directed by an ACE or park representative. You have been brought into the park for free, so treat this event as if you were going to someone\’s home and be polite at all times about your host. Find something positive to say about the ride experience and/or the park. If you cannot speak positively about the ride please refrain from being interviewed. We are here to help advertise the new ride through positive comments, and not criticize or complain. At all times be courteous to the people you meet. For more information, please contact The Current Regional Representative of ACE New England. Members of the American Coaster Enthusiasts (ACE) are expected to abide by this code of conduct to ensure ACE is always represented in a positive manner. Members wearing the ACE logo, attending ACE events or identifying themselves as ACE members should be aware their behavior impacts ACE\’s reputation. Members found to be in violation of this code are subject to ACE\’s Disciplinary Procedures and may receive a warning, have their membership suspended or terminated. 1. Members may not demand financial favors from parks. Members are not entitled to free or discounted admission for a particular occasion unless arranged in advance by an ACE representative or the park has a policy that offers members such discounts. ACE members support parks by patronizing them to ensure their future. ACE relies on all parks\’ support to carry out its purposes set forth in ACE\’s Constitution. 2. Members must set a positive example for other park patrons by following all park policies and rules. This includes: regulations regarding line-jumping; use of seat belts, lap bars, shoulder harnesses, and other safety restraints; seat selection; and taking cameras on rides. Members are to avoid confrontation with patrons who violate park rules and can report incidents to park personnel. 3. Members are not permitted to ask ride operators or management staff for any rule exceptions or special favors not ordinarily granted to park patrons. Members who request such courtesies to contribute an article or photographs for ACE publications must have a signed introductory letter from an editorial staff member and make advance arrangements with the park. The park\’s decision to accept or deny an ACE official request is to be honored by ACE members. 4. When interacting with representatives of the press or media, members are expected to speak enthusiastically about all parks and roller coasters. While members may have strong opinions about parks and roller coasters, they are to avoid negative criticism to representatives of the press or media. 5. Members may only attend ACE events and activities when properly registered and their appropriate name badge for that particular event is clearly displayed. Attendance at meals, exclusive ride times, and other event activities for which members are not registered is a violation of this code. Name badges are non-transferable. 6. Misbehavior at an ACE event or a park; detrimental conduct threatening ACE, its property or reputation, or a violation of the Constitution and Bylaws is a violation of this code. * Members of the American Coaster Enthusiasts are expected to abide by a code of conduct to ensure ACE is always represented in a positive manner. Members (and their guests) attending ACE events should be aware their behavior impacts ACE\’s reputation. Members found to be in violation of this code are subject to ACE\’s Disciplinary Procedures and may receive a warning, have their membership suspended or terminated. * Members are to set a positive example for other park patrons, follow all park policies and rules, and conduct themselves in a polite, courteous and safe manner. 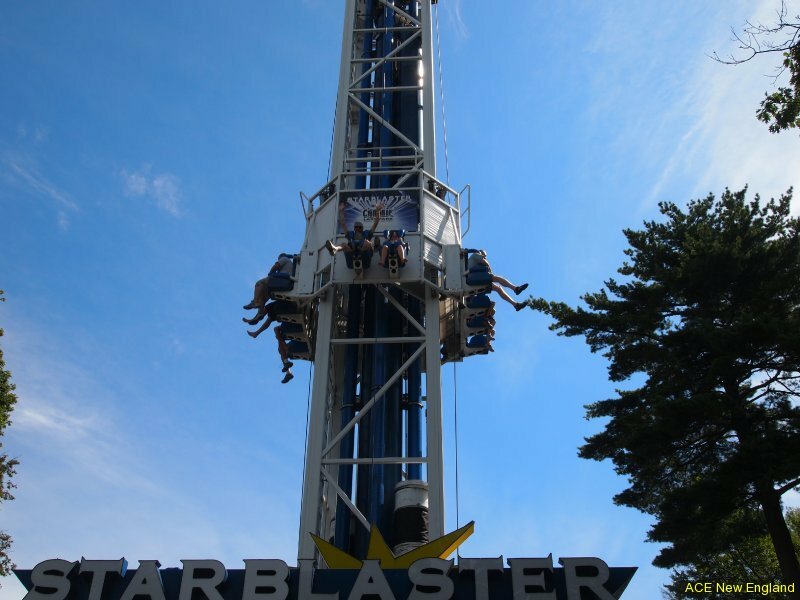 This includes: regulations regarding line-jumping; use of seatbelts, lap bars, shoulder harnesses, and other safety restraints; seat selection; and taking cameras on rides. * Members must not ask ride operators or management staff for any rule exceptions or special favors not ordinarily granted to park patrons. * At selected events non-members are permitted to attend as guests of ACE members. At all times the policies described herein will be applicable to these guests and their behavior and conduct will be the responsibility of the hosting ACE member. * Misbehavior at an ACE event or a park; detrimental conduct threatening ACE, its property or reputation; or a violation of the Constitution and Bylaws is a violation of this code. Please obey all policies and rules during your time in the park, including our event\’s ERT sessions and other special activities. Thank you for your cooperation in helping insure that everyone enjoys a safe and fun time.